St David’s Day in Criccieth? As has happened the last few years Cadw (the Welsh Government’s historic environment service) has announced FREE entry to several of its properties to celebrate St David’s Day. The locations within 30 minutes of us are Harlech Castle, Criccieth Castle and Dolwyddelan Castle (there are several more in North Wales too). Details HERE. As we both love to go out exploring on at least one day each weekend we’ve decided to visit Criccieth if the weather is good enough. Haven’t spent any time in Criccieth for nearly a year. The last time we were there the weather was good enough to sit on the sea front and to “promenade” along the promenade. We didn’t visit the Castle last time so it’ll be nice to see over it and refresh my memories of it. There are fantastic views across Cardigan Bay to Harlech and way beyond from the Castle and surrounding grounds. 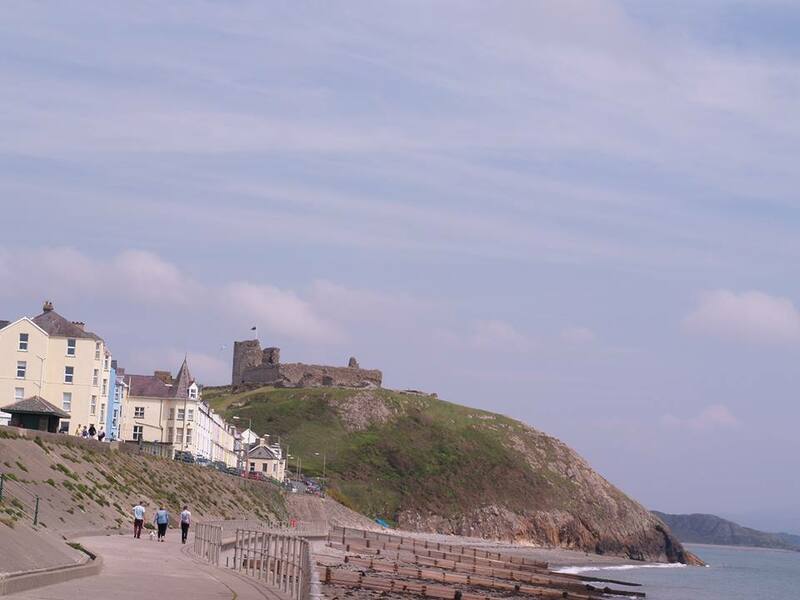 Did you know that Criccieth was one of the pioneering Cadw sites that ran a trial of allowing dogs to visit (on a lead and with their owners of course)? And this has now been extended to more locations. 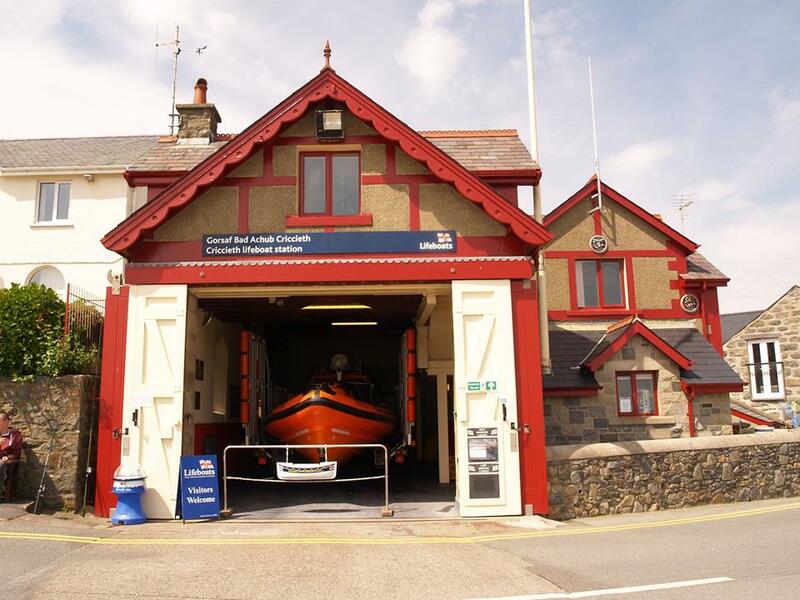 There’s also a visit to Criccieth Lifeboat Station on the books too. We drop into lots of RNLI stations to say “Hi” as my partner (and his son) is a crew member of Holyhead Lifeboat Station. There’s always a warm welcome. For future reference, Dylan’s, the restaurant currently based in Menai Bridge is opening a new venture on the beach (well almost) at Criccieth early Summer 2015. They’ve got all sorts planned for the town so they’ll be a place to visit maybe next time we visit. You’ll find some more information HERE. I’ve also heard rumours that there maybe fish and chips for tea…. but where? No Dylan’s yet? So now you know my plans for the weekend… how about you? Will post some photos of the day if there are any decent ones – fingers crossed for good visibility from the Castle and no rain. Criccieth is 19 miles from our log cabin accommodation at Cadair View Lodge and it takes about 29 minutes to drive there. Categories: Days Out, Family Break, Have You Packed For Wales, Heritage, Log Cabin Accommodation, Pet Friendly Accommodation, Romantic Break, Short Break, Snowdonia | Tags: #free, #petfriendly, #Snowdonia #value #free #holiday, #value, Cadair View Lodge, Criccieth | Permalink.